A care home in Oxfordshire is now using virtual reality to transport residents into exciting alternative worlds. Amoy, 91 who lives at Churchfields Care Home in Cassington, went skydiving, but wasn’t wearing a harness or strapped to a parachute. 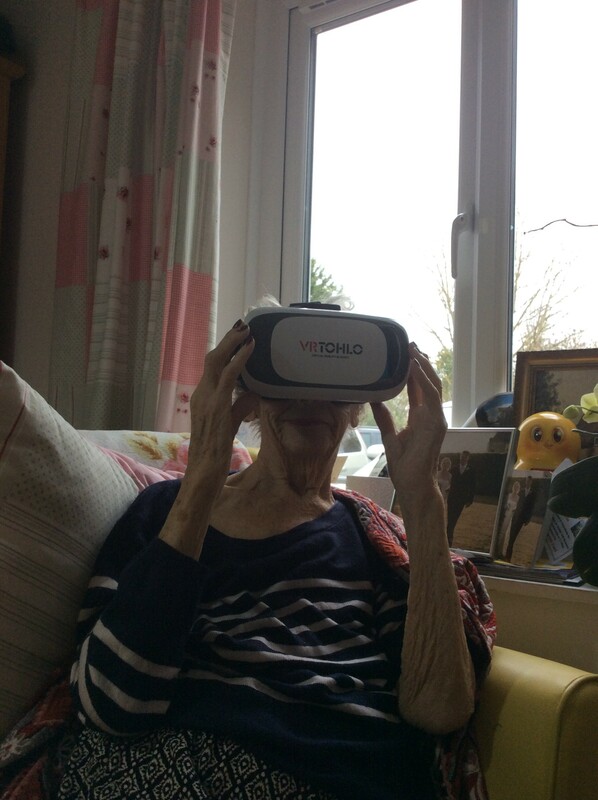 From the comfort of an armchair, and with care workers by her side, Amoy enjoyed a virtual reality experience that transported her to the skies. Amoy remembered having a dream that she was free falling from a plane, and she soon requested to be able to do a skydive. The team at Churchfields wanted to make this a reality for her. The state-of-the-art system, which is used regularly at the home, has the power to transport residents into a number of stimulating alternative worlds while care workers engage them in conversations about what they are seeing. Stephanie Eley, Manager at Churchfields Care Home, commented: “The VR headset has been a great resource to the home and provides residents who are less able to travel to a different world and experience new sensations. We’re really looking forward to seeing more residents benefit from using it. “It was amazing to see how much Amoy’s face lit up when she shared her skydiving experience with other residents. Churchfields Care Home is set in the peaceful village of Cassington and offers residential, nursing and dementia care. There are a variety of living spaces and quiet areas, as well as a large, landscaped garden. To find out more about Churchfields, and to view the home, call 01865 881440 or visit www.churchfieldscarehome.co.uk.